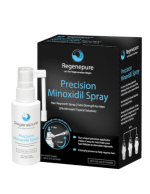 Regenepure Precision 5% Minoxidil Spray for Women contains the only clinically proven and FDA approved topical ingredient to treat hair loss and regrow hair in women. 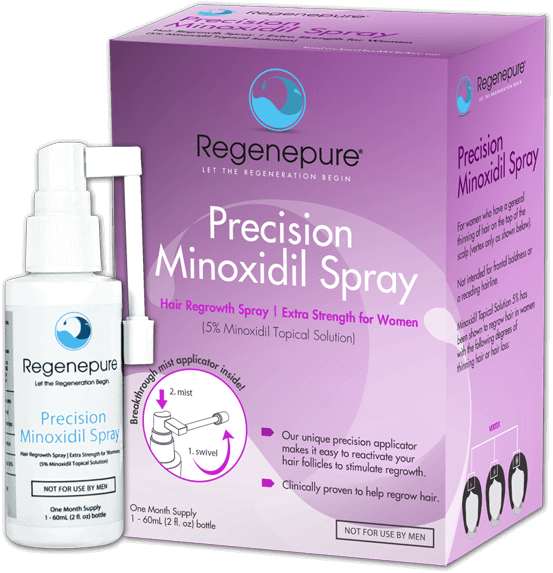 Women with diffuse androgenetic alopecia can use minoxidil and it actually seems to be more effective for women compared to men. Many dermatologists prescribe minoxidil 5% for women with androgenetic alopecia if used under their supervision. 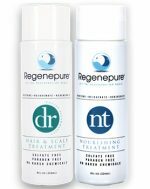 Some small clinical trials have been conducted on 5% minoxidil for androgenetic alopecia in women showing that indeed the 5% solution is significantly more effective in both retaining and regrowing hair than the 2% solution.